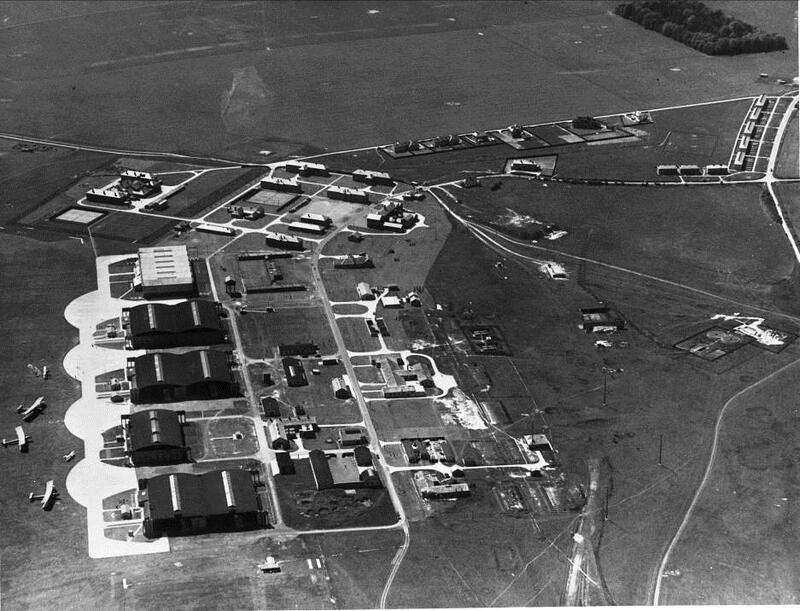 RAF Boscombe Down reopened in October 1930 with the new buildings completed, some of which can be seen around the parade square. The first squadron to arrive was No 9 equipped with Vickers Virginia aircraft followed by No 10 Sqn in 1931, equipped with Handley-Page Hydrabads and Hinaidi aircraft. The latter were subsequently replaced with Virginias. In this period the principle of expansion to form a new squadron was to hive off a Flight from an existing squadron to become a new squadron in its own right. So ‘B’ flight of 9 Squadron became 214(B) and 10 ‘B’ Flight became 97(B) Squadron and they in turn spawned new squadrons. In this manner Boscombe Down became an essential part of the rapidly expanding air force. Handley-Page Heyfords replaced the Virginias, which in turn were replaced by the Avro Anson. Finally in this period the Fairey Battle single engine light bomber arrived and three Squadrons No. 88, 150 and 218 left for France to meet the Nazi threat in September 1939. Although Boscombe Down was not formally a flight test site the airfield was used for the maiden flight of the Westland Lysander in 1936 and the Westland Whirlwind in 1938. This was potent of things to come as the outbreak of WW II in September 1939 saw the arrival of the Aircraft and Armament Experimental Establishment (A&AEE) from Martlesham Heath in Suffolk. 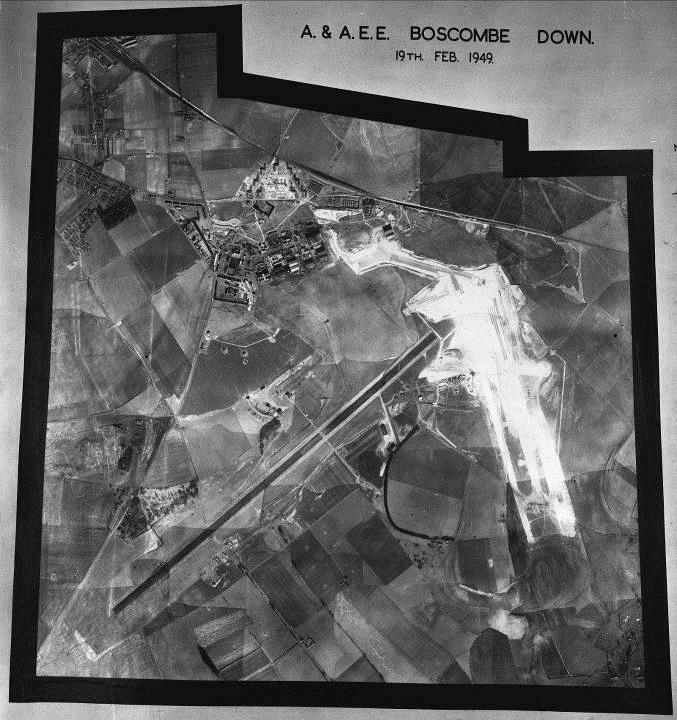 Boscombe Down had been deemed a safer location away from German raids and reconnaissance flights, though some of the arriving aircraft were met with ground fire having been mistaken for the enemy. 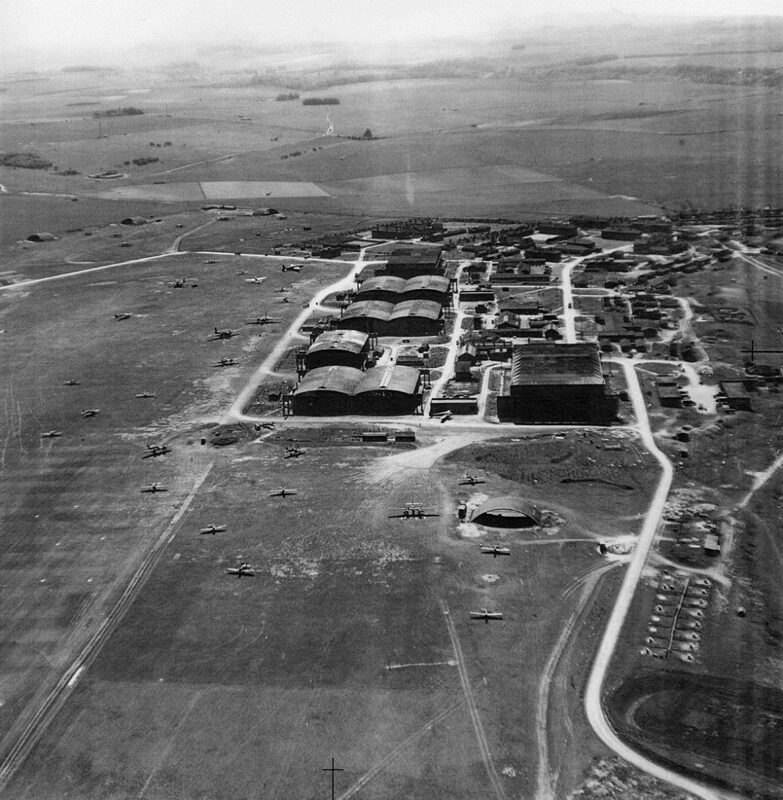 Despite the earlier A&AEE re-location plan, the threat of invasion saw an increased level of fortification to the airfield with pillboxes, air raid shelters and other protective structures built (many still exist including a blast wall around one of the buildings.). A number of other temporary buildings for testing facilities were also sited wherever a suitable space could be found. 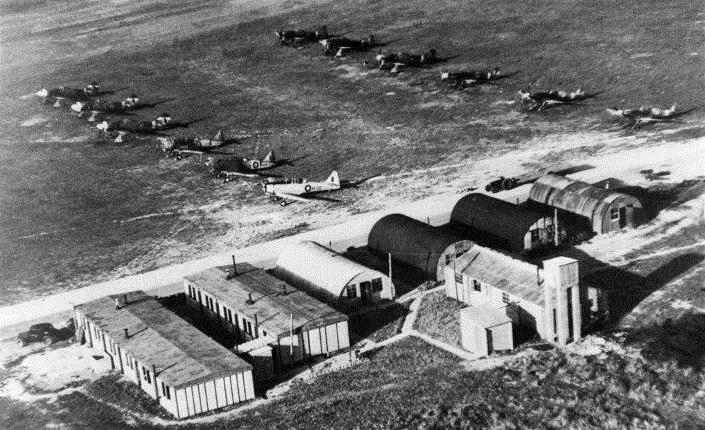 The airfield found itself in the midst of the Battle of Britain during the summer of 1940. In August 249 Squadron flying Hurricanes was based on the airfield, during which time Flight Lieutenant James Nicolson flying a Hurricane was awarded the Victoria Cross, the only VC of the Battle of Britain period. Operational changes then saw 249 Sqn replaced by another Hurricane unit, 56 Sqn, on September 1st. A number of corrugated iron blister hangers were used during this period for rapid maintenance of the aircraft and a single wartime example still exists on the site. As the war developed, the A&AEE became a very busy airfield testing aircraft and new equipment prior to issue to the three services. 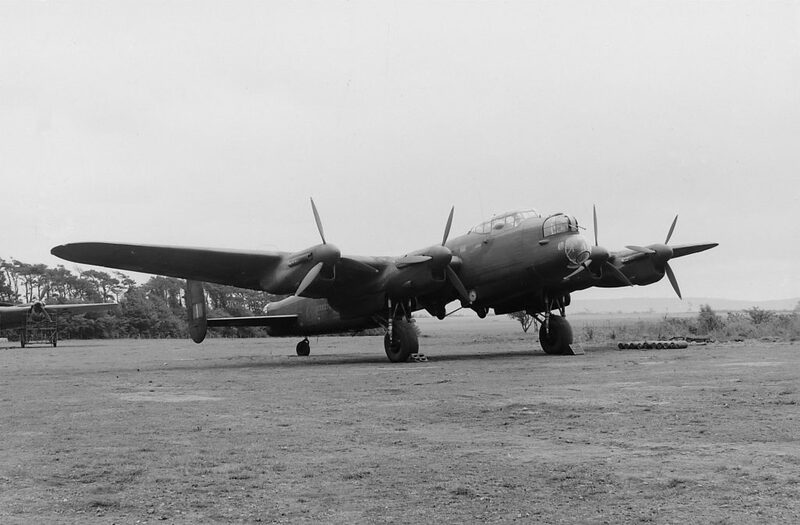 By now there were 4 runways with lighting and this enabled the operation of many novel designs and concepts such as the modified Lancaster used by the Dambusters. Captured German aircraft were also flown at the airfield. Armament testing, also a requirement of A&AEE, was concentrated on a newly built range, Ashley Walk in the New Forest (where the Barnes Wallis Grand Slam was subsequently tested) with additional ranges located at Crichel Down, Lymington and Larkhill. In addition to the aircraft testing role, the Bind Approach Training and Development Unit was formed to train instructors in the use of the Lorenz Blind Landing System. However this unit notably went on to develop methods of detecting and defeating the use of a German radio beam system for bombing of targets in Britain. The station itself was bombed on a number of occasions during the night, which suggests an unguarded light as there were no geographical highlights to identify the station for an attack by an enemy aircraft, flying at around 10,000 feet over a totally blacked out countryside. 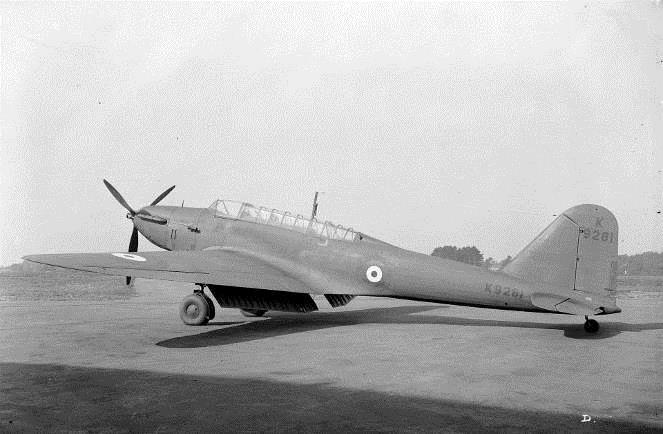 As a result of one raid, Hangar 168 and Station Workshops and a number of aircraft were damaged. During the war, the first of the specialist test facilities was built, namely the Blower Tunnel, to help trials suppressing engine exhaust flames for night flying. Unfortunately, by the time it was completed, the need was no longer required. Nevertheless if found a new use post-war for testing ejection seats, escape systems and various jettison systems (it was finally decommissioned in 2016). Another major event occurred in 1943 when the Empire Test Pilots School was established at Boscombe Down as a means to reduce the risk of test flying. The school was then formerly established in 1944 before moving to Cranfield in 1946 and Farnborough in 1948 (returning to Boscombe Down in 1968). By the end of the war A&AEE had tested around 1500 different aircraft using the grass covered aerodrome but to address the requirements of the new jet aircraft being developed it was decided to build a new main concrete runway. This was opened in October 1945. The new runway resulted in aircraft companies without suitable facilities for jet aircraft using the airfield to conduct maiden flights of prototype and experimental aircraft. The first of these was the Supermarine Attacker in 1946 and this practice that would continue into the 1960s. The advent of the Cold War and continued development of more and more advanced aircraft, equipment and weapons saw further large areas of expansion which resulted in much of what we see today. Further development of the runway system began in 1948 with a new south/north runway and associated taxi-tracks linking into 1945 runway. Unfortunately, as the first runway was built under wartime constrictions no thought was given to an archaeological survey, despite it being laid over its entire length of Roman Road. In view of what found when the second runway was built such a survey would have been an invaluable contribution to today’s archaeology. Your first photo is mis-captioned.. It should surely be a Fairey Battle..